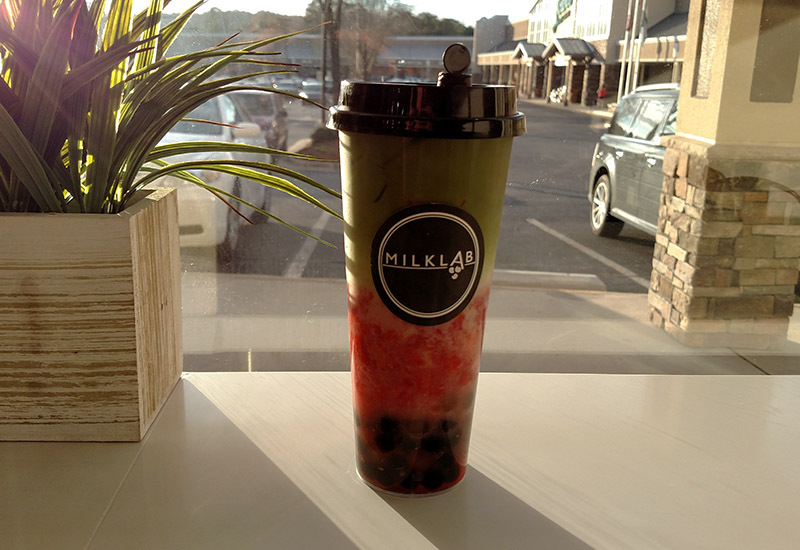 Cary, NC – Rolled ice cream and boba milk tea are growing trends in America borrowed from East Asia, but a new store in Cary is making these treats with natural ingredients while constantly experimenting with new flavors and recipes. Milk Lab, located on Tryon Road in Wellington Park Shopping Center, is the combination of owners Bin Chen and Sandy Lam. Both met while attending North Carolina State University and took Chen’s interest in rolled ice cream and Lam’s interest in boba (or bubble tea as some Americans may better recognize it) and combined the two into one business. 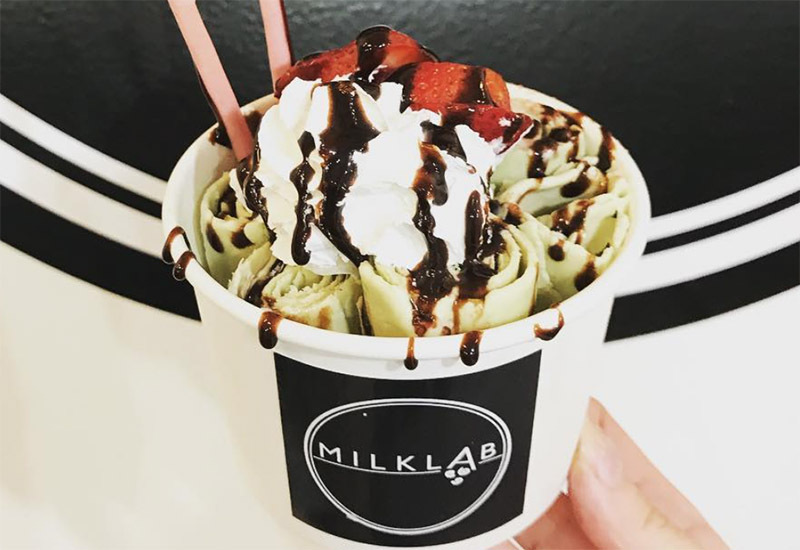 Rolled ice cream is a popular street food in Thailand and Chen said it has been hitting major cities in the United States for a few years now, before coming to Cary when Milk Lab opened in December 2017. 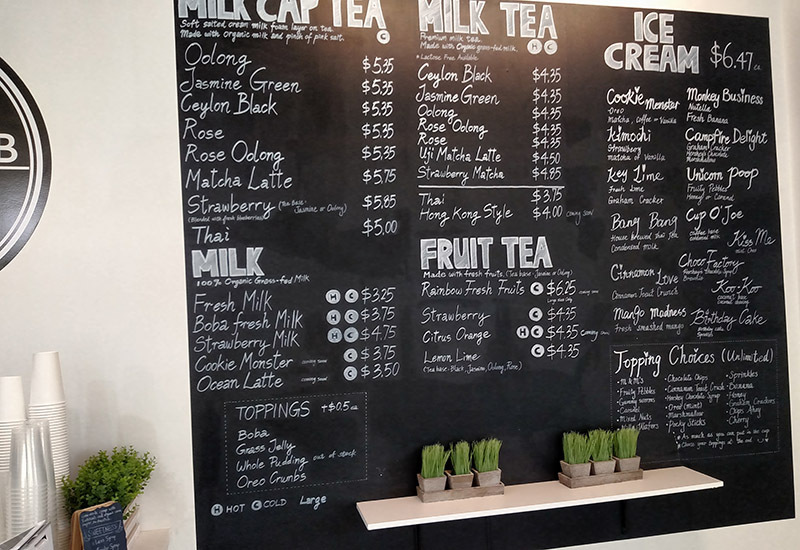 With both the ice cream and teas, Chen said the store focuses on all-natural ingredients and is constantly trying to find new flavors and drinks. For the boba, which is a Taiwanese drink, Lam created the flavors and compositions, made using tea leaves from a variety of countries instead of powdered flavorings. “Boba is a milk-based tea and we get our milk from organic, grass-fed cows,” Chen said. The “bubble” name boba gets comes from the black tapioca pearls on the bottom. The drink often has a tiered look to it and Milk Lab can take that one step further by adding a milk cap on top. Milk Lab is located at 6418 Tryon Rd. Story by Michael Papich. Photos by Michael Papich and Milk Lab. ©2019 FoodCary.com. All rights reserved. A publication of CaryCitizen.